The chapter Light-scattering flow cytometry: Advanced characterization of individual particle morphology by Valeri P. Maltsev, Andrey V. Chernyshev, Dmitry I. Strokotov in the book "Flow Cytometry: Principles, Methodology and Applications", ed. Stefanos Papandreou (Nova Science Publishers, New York, 2013, pp.79–104). There is a photo of the Scanning Flow Cytometer on the book cover! 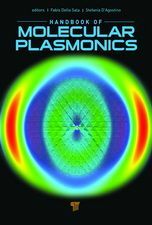 The chapter Computational approaches for plasmonics by Maxim A. Yurkin in the book "Handbook of Molecular Plasmonics", ed. Fabio Della Sala and Stefania D’Agostino (Pan Stanford Publishing, Singapore, 2013, pp.83–135). 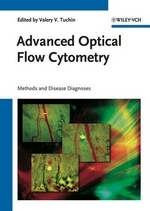 The chapter Optics of white blood cells: Optical models, simulations, and experiments by Valeri P. Maltsev, Alfons G. Hoekstra, and Maxim A. Yurkin in the book "Advanced Optical Flow Cytometry: Methods and Disease Diagnoses", ed. Valery V. Tuchin (Wiley-WCH, Weinheim, 2011, pp.63–93). 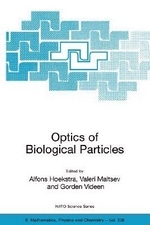 The book "Optics of Biological Particles", eds. A.Hoekstra, V.Maltsev, and G.Videen (Springer, Dordrecht, 2007). 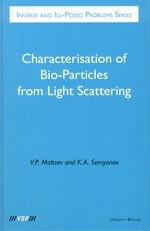 The book "Characterisation of Bio-Particles from Light Scattering" by V.P. Maltsev and K.A. Semyanov (VSP, Utrecht, 2004).